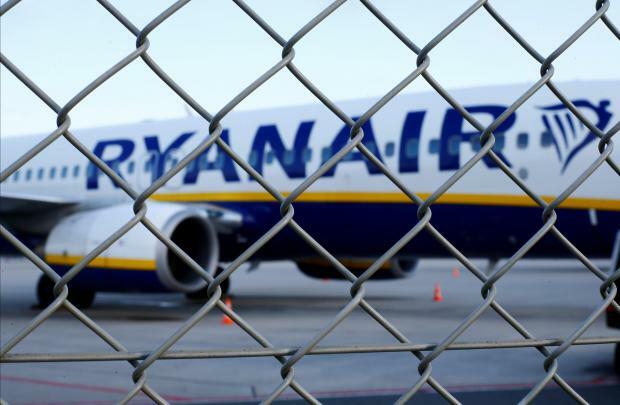 Last Friday, Ryanair cut its forecast for full-year profit for the second time in three months, this time blaming lower than expected winter fares, and said it could not rule out a further downgrade if Brexit causes unexpected developments. The pressure on winter fares (set to fall by 7 per cent, rather than the 2 per cent previously flagged) and the difficult transition as it negotiates new T&Cs with unions across Europe led to a significant drop in the share price. The company now expects profit after tax for its financial year to March 31 - excluding start-up losses at its Laudamotion unit - of between €1 billion and €1.1 billion, compared to a previous estimate of €1.1 billion to €1.2 billion. After reviewing our model on the stock, we maintain our 'hold' recommendation on Ryanair and reduced our price target from €12.60 to €11.20. This is mainly due to a reduction in our forward P/E multiple from 15x to 13x. In October 2018, we had issued a hold recommendation on Ryanair and reduced our price target on Ryanair from €14.70 to €12.60. The €12.60 price target had already included the risk of a downgrade in earnings. In fact we were forecasting profit after tax for the year ending March 2019 to come in at €973.1 million, below the lower end of guidance. Our concern at this stage is that our valuation is subjective and it depends on many factors, which are difficult to forecast. These include fares, crew strikes, continuing staff shortages/strikes, unforeseen security events and Brexit development. * Ryanair is trading on a P/E of 8.7x compared to its 5-year historical average of 14.8x after the shares have fallen almost 50 per cent from their highs in Q3 2017. * Ryanair remains the clear market leader in European aviation with best-in-class profitability and a strong balance sheet and lower fares help Ryanair to gain market share. * Visibility on 4Q forward bookings is good and Rynair guides for slightly better-than expected unit cost performance and improving ancillary revenue performance through 2H19. Our €11.20 price target is factoring in a forward price-to-earnings ratio of 13x and a discount rate of 10 per cent. We are forecasting EBIT margins to fall to 15.50 per cent and 15 per cent in 2019 and 2020 respectively. Factoring in higher costs of fuel, wages and passenger compensation for potential disputes. Our EPS forecasts are €0.81 and €0.82 for 2019 and 2020 respectively. Key drivers of the company’s growth were the improved conversion of reserved seating and priority boarding services and its significantly-lower costs per passenger than competitors. * Well-established market leader in the European market. * Lowest unit costs of any European airline; one of the lowest in the world, and thus lower average fares than European counterparts. * Impressive strides towards innovation and size of the short-haul network. * Strong balance sheet and consistent shareholder returns. * Earnings seasonality: a strong northern-hemisphere summer, particularly July-September, offsets a loss-making winter. * Poor labour relations, highlighted by industrial actions. * Potential for improved ancillary revenues. * Additional aircrafts and new charter airlines to accommodate the growing number of passengers. * Achieving better performance in Southern and Eastern Europe, mainly by increasing the stake in LaudaMotion, which has better reach of Germany, Austria, and Spain. * Expansion and growth into the Middle East. * Improved customer experience through the Always Getting Better program. * Increase in staff costs and headwinds of fuel costs. * Accidents: despite a strong safety record, accidents damage growth plans. * Increase in competition, both in terms of prices and costs. * Continued disruption of flights due to staff shortages and strikes. * Brexit and its impact on prices.